the negative effects of light pollution? Urban sprawl is a major contributor to light pollution. Part of my platform is to go tall not sprawl. This will reduce the number of street lights needed and decrease light pollution. lighting on buildings and roadways? I am for LED lighting as it is more cost effective, saves energy and is better for our planet. That being said I know that LED’s come in various colours. I have not done the research on how different colours of street lighting affects road and community safety but if the research supports that changing the colour of the street lights has little to no impact on road safety I am all for LED’s that produce less light pollution. I look forward to gaining your support and your vote. May I respond to both questions at the same time? When you can see the skyglow of Whitehorse from Carcross, it is obvious there is something wrong. As a councillor, I would always vote for building lights and street lighting to be directional and rated at 3,000 Kelvin. City properties can become a good example. As for limiting the use of lights where pedestrians may not be, even during specific hours, that would be tough. As a City, we cannot tell property owners what can and cannot be done with the amount of lighting they use. And, although there are college campuses in the United States that have reported a reduction in crime as they reduced lighting, this is an idea that residents will resist. So, all that I can promise here is to advocate for education on this issue. I hope you will continue your advocacy … and I really hope I will be a councillor when you come to the Chambers to help nudge our thinking on this further. I have reag the US medical report on this very subject because john Stricker now minister of community services and the liberal government were going to change all city street lights in these dangers lighting but I sent them that repot and Mayor Curtis supported their plan. Lighting is an interesting subject for municipalities and all governments. In Europa they are going to low energy lighting and have reduced street lights in half. Street lights are very important for safety of our residents. I t could be cut in half but they will do nothing about it or anything for that matter. Far as light issues goes I have studied forestry engineering with a major in plant life. Yukon has some of the cleanest and clear air in the world. Only parts of northern Russia has cleaner air than the Yukon. There is environmental issues and ours comes from south seas and Asia into the Yukon. There has always been thing in our air since the earth was created. Our Yukon plant life cleans our air and does a great job of it. I am glad a group of your exist for the good of all. They use magic testing of items in the air. I can’t remember who did it. The biggest issue was dush pieces flowing in the air which causes skies to be blocked. This is more likely the biggest part of the issue and it is a natural cause that nothing can be done about it. Smoke particles from the BC and Yukon firers can flow in the air for years and blocks the sky light. It just checked a next door who scientist in space and worked for NASA for many year. He has two PHD’s in this area of study and is retired. There is very little you can do to clear the air. Interesting questions for someone like me. Lighting we can do something about it. In intend to do something if I become mayor. The process of changing our street lights to LED to save money and reduce light pollution is already underway. Atco is managing the change over process as they actually own the infrastructure. All street light replacement is completed with LED lights. At our most recent meeting with ATCO in May of this year they let us know that some of the complications around light replacement (differing light tones) had been resolved. They are doing this replacement with the amber tone LEDs now. I certainly support the idea of minimizing unnecessary lighting. That concept though is not one that, as a community, we have a consensus on. I consider this an important issue and will certainly watch the process unfold and advocate where possible for addressing light pollution. 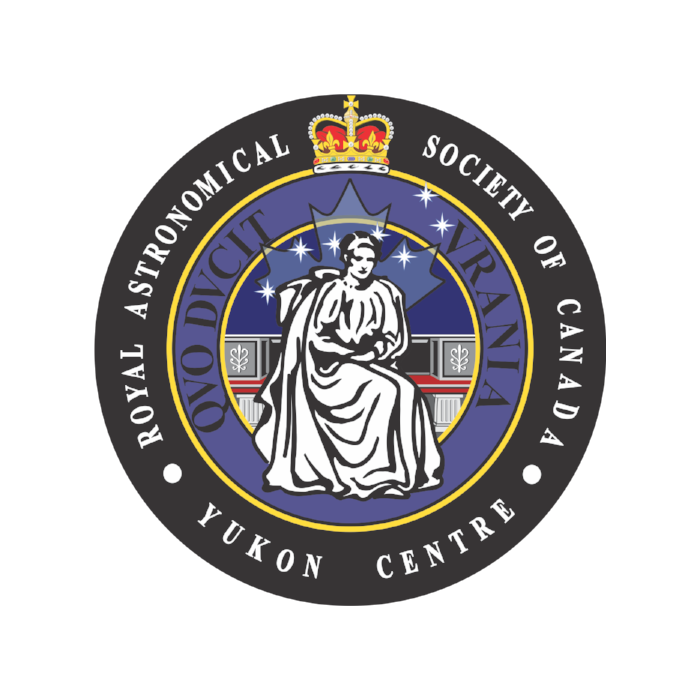 Thank you very much for your letter of October 8, 2018 in which you outlined your concern regarding light pollution, along with an explanation about the Yukon Astronomical Society’s mission. You also requested I address the two questions posed in your letter. Question #1- If elected, the first thing I would do is request a meeting with you and other interested members of you Society to find out what you think should be done. Question #2- Yes. My first instinct would be to support and advocate for the responsible use of outdoor lighting. I hope you find these answers helpful. Again, thank you for the information contained in your letter. 1. I don’t see the link between the health effects listed and artificial lighting. I wouldn’t want to use one AMA study as an argument for or against artificial lighting. 2. Yes, I would support and/or advocate for this type of lighting. I think arguments about darksky, tourism, unneeded or excessive lighting are valid and we should be discussing at the council meetings. A problem with using safety and convenience as criteria for decisions on lighting is that there will be many points of view and we may end up with the current lighting solutions. Some people want lights everywhere, some prefer minimal lighting and others are in between. Trying to satisfy all the lighting priorities and at the same time reducing light pollution, may be impossible. I would prefer less street lighting or new options that do not direct light upwards. It would be a huge burden on taxpayers to replace all the street lighting, so it is very unlikely that it will happen. Replacing the existing lights over time may be more realistic. I recommend that the Yukon Astronomical Society attend Council Committee meetings to advocate and to educate the new council regarding light pollution and lighting options that would be realistic for Whitehorse. Options that save money on operations with minimal capital costs are always popular! Having the conversation is a good start. Thank you so much for forwarding your questions on light pollution to the candidates. As someone who is striving to reduce all types of pollution, I was happy to stop and think about our skies. Attached, please find my response to your questions. Please let me know if you have any further questions. Q#1 – If elected, what would you do to reclaim our night-sky heritage, protecting the environment and human health from the negative effects of light pollution? Q#2 – Would you support and advocate for the responsible use of outdoor lighting: this being limiting use of lighting to areas where needed for safety and convenience and requiring the use of warm-white or amber-coloured night-sky friendly lighting on buildings and roadways? Light pollution is an important issue; however, it is a complex issue. As a resident, and if elected to Council, I would strongly advocate the responsible use of outdoor lighting. I believe that education is the best way to find the right balance amongst the different competing interests. We can work on educating people about the damaging affects of light pollution on humans, wildlife and our environment. I would also advance educating residents on options for night-sky friendly outdoor lights for residential and commercial purposes while continuing to ensure our streets are safe for pedestrians, cyclists and vehicles. Of course, leading by example is important, so I would advocate for existing and new city buildings to use warm-white or amber-coloured, night-sky friendly lighting in a responsible and safe manner. Two other factors to consider is energy efficiency and the costs of various light sources. We can learn from experts what are suitable light sources that optimize for all of these different factors in different scenarios. The right answer for downtown on Main Street is not going to be the same as in Porter Creek or Crestview, and beyond in the outskirts of Whitehorse. Now is the time to take preventative measures to prevent light pollution from increasing to ensure residents, visitors and wildlife alike continue to enjoy our night sky. I believe that we should listen to local community associations like the Yukon Astronomical Society, neighbourhood associations and residents and hear the viewpoints of the people most impacted by lighting decisions, include these opinions in our actions to reduce light pollution, and work together to reduce light pollution in our Wilderness City. I think that our night sky, and our northern lights in particular, are a tremendous resource for Whitehorse. Having the opportunity to meet with the Yukon Dark Skies Coalition during my campaign has also opened my eyes to the negative environmental and health impacts of light pollution, which I was not previously aware of. If elected, I would ensure that light pollution is an issue that is included in our discussion of the next Official Community Plan, particularly with respect to requirements for lighting in the application of the building code in commercial, industrial and residential areas. I would also explore opportunities to include light pollution as part of any discussions with Yukon energy, Yukon government and other orders of government regarding street and highway lighting. safety and convenience and requiring the use of warm-white or amber-coloured night-sky friendly lighting on buildings and roadways? Yes, I support the responsible use of outdoor lighting. If I elected, I would support City Council efforts to explore incremental actions that ensure our buildings and roadways are lit in ways that balance safety, convenience, and light pollution concerns, using less harsh hues that reduce light pollution and improve our night-time environment.